I’m not usually big into manicures…it seems I’m so tough on my nails that they never last too long and just look ragged before too long. But pedicures – now you’re talking! I – if I do say so myself – have lovely little feet and live for the summertime months when I can show them off in flip-flops. 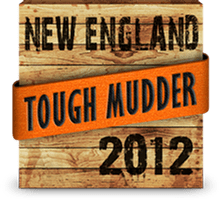 Because of all the running I do my toenails take a beating, even turning black from time to time. I know, gross. That’s where the pedicures come in. I must have polish on my toenails at all times or I can’t even look at my feet. 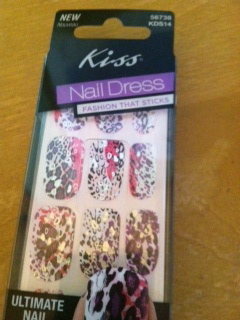 The clever folks from Kiss Nail Dress have created a fun, easy to use product that will spice up any pedicure in a snap. Application is super-easy: just peel the correct size nail topper (there are 28 in each package), stick onto the desired nail, smooth, trim and shape. An emery board is included with each set so you don’t have to go searching for one. If you want to get fancy you can cut out designs and place on top of your existing manicure or just add tips for a truly unique look. I chose to punch up one toe on each foot. 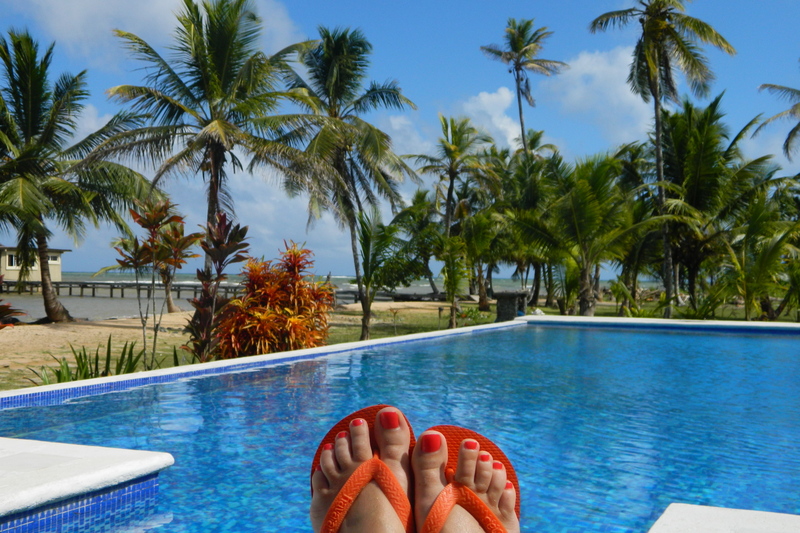 The color I received – Bodysuit – just happened to complement my pedicure polish perfectly! 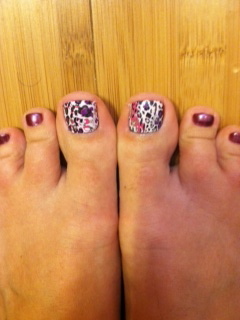 A mere 30 seconds later I was sporting a fun new pedicure without any hassle at all. The tiny package is extremely travel-friendly and with these along on a trip you can doll yourself up for any unexpected occasion that may arise.